1. Cook the tapioca pieces in enough water to cover them, adding salt and turmeric powder. When tapioca is done (do not overcook), switch off and drain the water completely. 2. Heat coconut oil in a pan over medium heat. Splutter mustard seeds and fry shallots, curry leaves and garlic. Saute until golden. Bring down the heat to low. Add chilli powder and mix well. Immediately add cooked tapioca pieces. Roast over low flame for a few minutes, stirring in between. 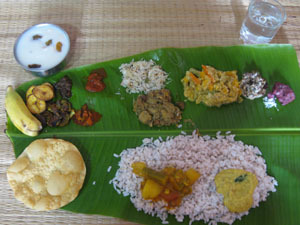 Serve with chammanthi / chicken curry / fish curry etc.